Former warriors captain Peter ‘Nsukuzonke’ Ndlovu was a victim of cyber crime after his cellphone was hacked by scammers in South Africa this week. Cases of cyber crimes are prevalent across Limpopo river. Ndlovu is said to have fallen to scammers together with Mamelodi Sundowns coach Pitso Mosimane and keeper Kennedy Mweene. Sundowns confirmed the development on their official Twitter account warning the public not to transact any money into the trio’s phone numbers. “Coach Pitso Mosimane, (Team Manager) Peter Ndlovu & Kennedy Mweene’s phones have all been hacked. “Don’t send any money to the scammers,” read the statement. In recent times celebrities have been frequently targeted by hackers who aim to expose their private details online. Warriors midfielder Willard Katsande was a victim of the same cyber abuse late last year. At times these hackers go as far as blackmailing their victims, threatening to leak sensitive information if they are not paid a certain amount. 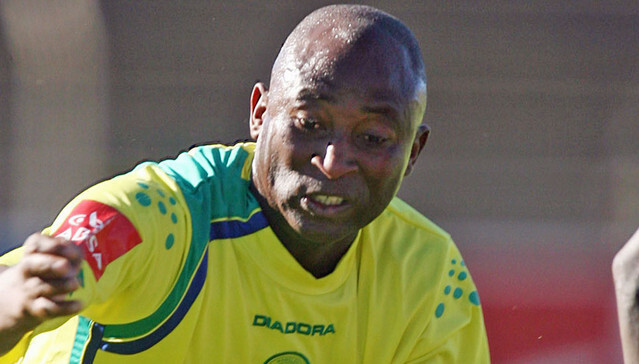 Warriors legend Ndlovu said that no damage had been done following the hack. “Yes (our phones were hacked), but it was not a major case and we have since solved the issue,” the flying elephant said.